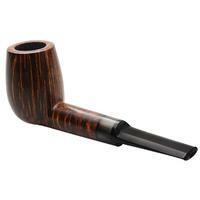 While the Danish Billiard design has been rendered times over by various carvers throughout the years, Tom Eltang has once again succeeded in taking a quintessential shape and making it all his own, while at the same time maintaining the heart of the piece's original form. 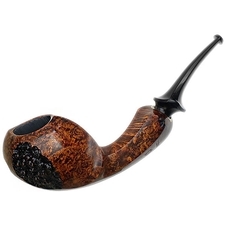 The balance of tradition and individuality is a paradox that few can pull off, yet one that Tom consistently perfects. 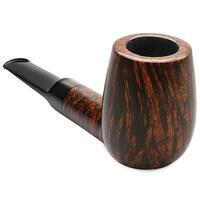 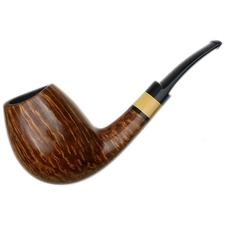 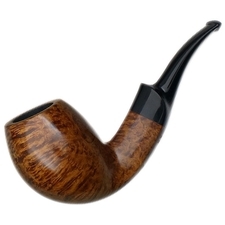 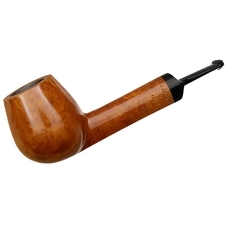 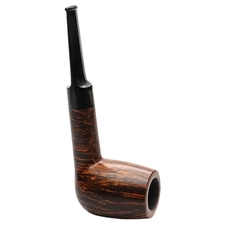 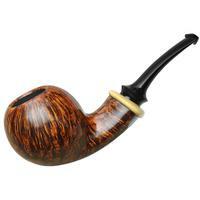 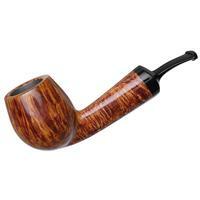 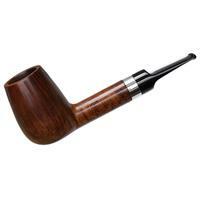 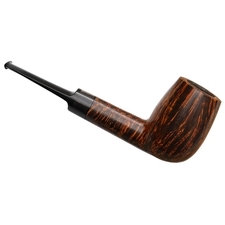 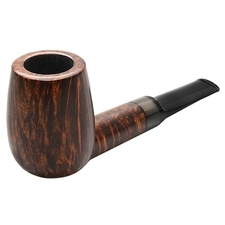 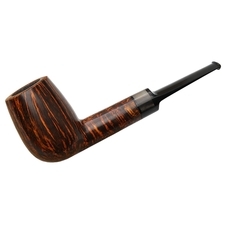 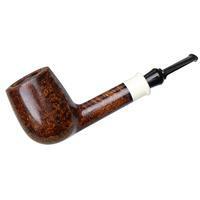 In the case of this specific piece, he has rendered a classically shaped Danish Billiard bowl, with an apparent taper and softly rounded rim, in a larger size than what we often see from the Danish carver. 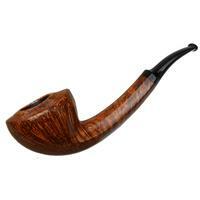 The shank, then, follows in a similarly proportioned manner before ending abruptly in a thick band of horn, a favorite accent of Eltang. 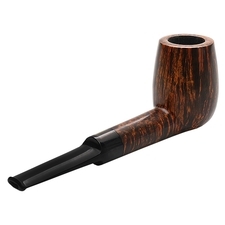 Many Danish carvers would have elected to pair the stummel with a shorter mouthpiece, perhaps extending the shank slightly. 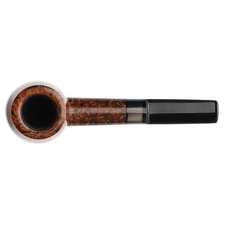 Tom, instead, has given a touch of extra length to the trim, handcrafted saddle stem, making for a streamlined profile that almost belies the piece's overall size and balances out the visual weight taken up by the bowl. 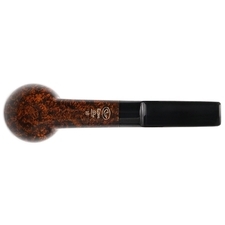 Wearing one of Tom's irresistible and unmistakable contrast stains, the stummel is packed with licks of flame, stretching from heel to rim in a stunning array, with birdseye saturating the rim completely. 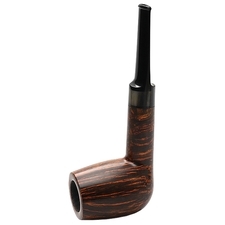 It's no surprise, then, that this piece has earned the "Snail" designation — Tom's highest rating.